This has never been truer as close to 2,800 bills were heard by 188 legislators during the Maryland General Assembly’s 90-day session in Annapolis. 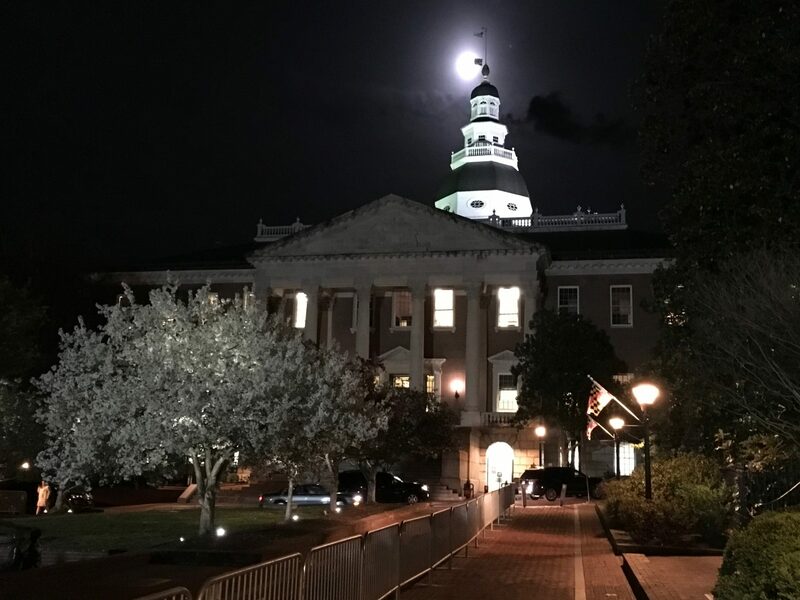 The MACPA was there on the final night, which happened to be the 117th anniversary of the passage of the CPA Act, which was the beginning of our profession in Maryland and the Maryland Association of CPAs. Here is our report from the closing night of the session, sine die. We are claiming victory as our core agenda was very successful. Our approach is to be proactive with our legislative advocacy, which includes feedback from our town hall meetings, input from our managing partner calls, a review by our legislative executive committee, and approval by our Board of Directors. We work on offense by supporting proactive bills on behalf of the CPA profession, and on defense by working to stop bills that would adversely impact our profession and our members. The cornerstone of our advocacy efforts started with CPA Day in Annapolis on Jan. 26, when more than 200 CPAs came to have their voices heard. Another highlight of this year’s session was the proclamation by Gov. Hogan honoring past MACPA Chair Kimberly Ellison-Taylor as the first African-American to chair the American Institute of CPAs’ Board of Directors in the Institute’s 127-year history. She is also the first AICPA chair to come from the state of Maryland. The proclamation was presented by state Sen. Brian Feldman, a CPA and MACPA member. CPAs, your lives, liberty, and happiness are safe until next year. The 2018 edition of CPA Day in Annapolis is set for Jan. 25. Registration is free and includes two hours of free CPE. Follow all of our legislative and regulatory advocacy efforts on our MACPA blog.